Inspired by true events, Eleni Hale's debut YA novel is a heartbreaking account of how 12-year-old Sophie's world disintegrates after she is left alone in the world and a ward of the state. Following the trauma she witnessed with her mum, and unwanted by her father, she is made a ward of the state with the assurance of a 'nice' permanent foster home. Slowly, this reality seems unlikely as Sophie is shuffled from one unstable group home of 'homes kids' to another. In these homes, most of the kids have histories of abuse, neglect and are regularly assigned a new social worker. Sophie follows the paths of the older kids in the homes and finds relief in drugs, alcohol, cigarettes. She keeps her emotions locked away where no one can hurt her anymore. Any aspirations of attending school again are dashed as is her abandoned love of reading and learning. In between escapes from group homes, she sometimes resorts to the streets, the prey of vile, shady characters. It's only when Sophie's in a group home with Spiral, Gwen and Matty that she begins to loosen her emotions and become less 'stone girl'. Gwen becomes her first best friend and Spiral her first love. With Spiral there's a strong, instant attraction built on a precarious foundation, underpinned by a combined history of abuse, neglect, painful memories and risk-taking behaviour. Over time, this background drives them to seek solace in heavier drugs as the stakes keep rising. Sophie's latest social worker tells her she must decide what her future will be. Spiral's behaviour becomes more volatile and a chain of events culminate in Sophie having to choose between life and death. Will she follow in her mother's path or forge a new one? The climax left me hoping and praying for Sophie's welfare and future. Only someone who has experienced the pitfalls of being a state ward, like this author has, can reliably and authentically convey a story like this. It gripped me from the very first page and I couldn't put it down. Sophie's experiences from the vulnerable ages of twelve to sixteen left me frustrated with a flawed and stretched system, and broken-hearted at how the many 'Sophies' out there have walked a similar path to hers. Hale's beautiful prose tells Sophie's story with honesty, with such minute-detail and knowledge that I felt I was in the drug-fuelled bong dens with Sophie. I felt every one of her anxiety-filled moments, and her story of survival. Hale constructs a perfect storm of rejection, the need for love and being wanted, and the disturbing perils of heavy drug use – culminating in a riveting and harrowing climax. The ending brings closure and hope. 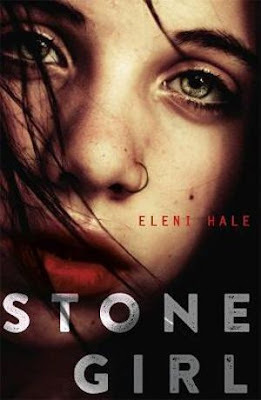 Stone Girl contains sexual references, substance abuse and mature content. It is not suitable for younger readers.